AT&T completed its previously announced acquisition of Atlantic Tele-Network's U.S. retail wireless assets, which operated under the Alltel brand, for $780 million. The deal includes wireless properties in six states, including spectrum licenses, network assets, retail stores and approximately 590,000 subscribers. The former Alltel network covers approximately 4.5 million people in mainly rural areas in Georgia, Idaho, Illinois, North Carolina, Ohio and South Carolina. 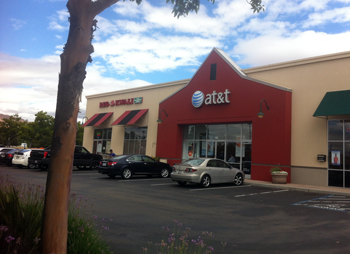 AT&T plans to move customers to the AT&T network by midyear 2014. 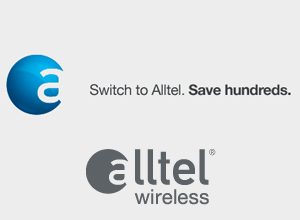 Alltel operates a CDMA network covering approximately 4.6 million people in primarily rural areas across six states — Georgia, Idaho, Illinois, North Carolina, Ohio and South Carolina. Once the network is upgraded to 4G, AT&T said the Alltel assets will be complementary to its own network. Alltel's spectrum is in the 700 MHz, 850 MHz and 1900 MHz bands. Although the quarter is not yet over and official numbers are not yet out, AT&T reported record smartphone sales for Q3. The company cited strong customer response to new marketing programs, new devices and the expansion of its 4G LTE network, which now covers 240 million people. AT&T said third quarter smartphone upgrades should be higher year over year, similar to second quarter 2013, and the company expects to grow its smartphone base by more than 1 million in the quarter. AT&T expects lower year-over-year smartphone upgrades in the fourth quarter, however, given the higher upgrade expectations for the third quarter and the new 24-month upgrade policy. In addition, AT&T noted strong U-verse sales, saying it now expects to reach 10 million total U-verse subscribers by the end of the third quarter. Consumer wireline revenue growth for the third quarter should be consistent with second quarter 2013. AT&T also confirmed published reports that it is exploring the possible sale and lease-back of some or all of its remaining wireless tower assets. RSA issued a security advisory to its BSAFE and Data Protection Manager customers recommending they choose one of the different cryptographic Pseudo-Random Number Generators (PRNG) built into the RSA BSAFE toolkit. The alert follows disclosures from Edward Snowden that subsequently led the National Institute of Standards (NIST) to strongly recommend against the use of the community developed encryption standard known as the Dual Elliptic Curve Deterministic Random Bit Generation (Dual_EC_DRBG) algorithm. Earlier, NIST strongly recommended that, pending the resolution of the security concerns, the Dual_EC_DRBG no longer be used. 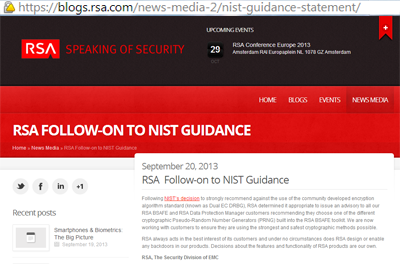 RSA said it does not design or enable any backdoors in its products. 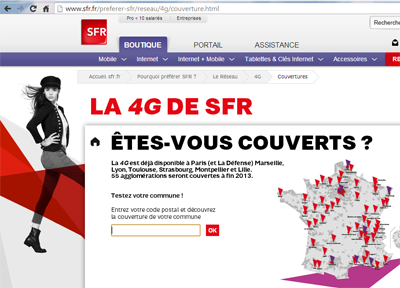 SFR has deployed NSN's Liquid Radio technology for its commercial LTE launch in Paris. Specifically, NSN has provided its Single RAN Flexi Multiradio 10 Base Stations, which can be made LTE-Advanced capable with a simple software upgrade. NSN has also supplied its NetAct network management system to ensure consolidated configuration, monitoring, management and optimization for SFR’s network. Ericsson will supply core components of the new hardware and software architecture supporting Orange Switzerland’s business support systems (BSS). 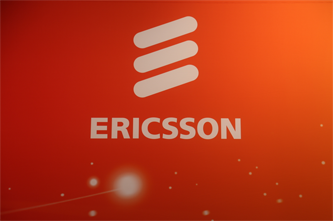 In addition, Ericsson will integrate the platforms into the Orange network and operate it over a five-year period under a managed services agreement. This cooperation expands the scope of the existing managed services agreement that was entered into early in 2013 and covers the operation and field service maintenance of the Orange network. Financial terms were not disclosed. Initially, the scope of the BSS project will comprise the billing of prepaid subscribers and the so-called multi-mediation and multi-activation features, which will be harmonized on a common platform. Multi-mediation supports the retrieval and processing of user data from all network nodes, so that such data can be made available to the relevant IT back-end systems and billed in real time. Multi-activation provides Orange with fully automated real-time subscriber management capabilities. 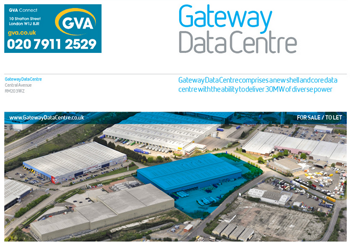 GVA Connect announced plans to build a new Gateway Data Centre in London’s West Thurrock, close to the M25 London Orbital motorway and the A13 road – giving easy access to London Docklands. The new facility will have 8,000 square metres (86,000 sq ft) of data halls split over two floors and a gross internal floor area of 19,500 square metres (210,000 sq ft). Up to 47MVA of diverse power is available meaning the Gateway Data Centre is ideally suited to both normal density and High Density uses.